Last week I went to Storm Lake High School for my Multicultural summer class exploring diversity in education. Storm Lake is a school in an incredibly diverse city that changed my perspective on both ESL and becoming an English teacher. Being in SLHS was a crazy and fun experience. First of all, there was a huge majority of Hispanic individuals, and I was told there was an influx of Spanish-speaking people in the community this year. One of the first classrooms I was placed in was in was the ESL room, which wasn’t where I expected to be, since I was looking for more literature-based classes, but it turned out to be a very valuable experience. The first, and most shocking thing I learned was that many students come into Storm Lake without speaking any English. Wait! Back up and read that again. No English. The first class I observed was the new immigrant students—at the beginning of the year they couldn’t speak or understand English at all. The class was largely Spanish-speaking, but there was a student who spoke Vietnamese as well. When I talked to the teacher [a Storm Lake graduate and native Spanish-speaker herself] she said that despite the ease of communicating with the largely Hispanic group in her class through Spanish, she felt that the class was more challenging because students would often revert to Spanish when they were confused or wanted to feel comfortable. 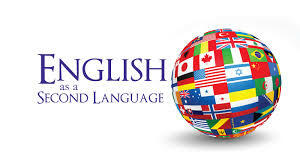 In comparison to past years, students spoke all types of languages, thus it was easier to use English as the only, and common language of the class. One of the first activities the class did was read a paragraph aloud that they had worked on previously—about their summer plans. I sat next to a student and listened to what he had to say about his summer. His plans included working with his father, making tamales, and working at Juanita’s, the local Mexican restaurant. It was so awesome to hear him speak aloud. The way his accent changed his words and how his tongue sounded in pronouncing different sentences was so interesting! After the students shared in partners, two read aloud. One was the student I listened to [he was outgoing and pretty confident in English] and the other was the Vietnamese-speaking student. I really struggled to understand the Vietnamese student. His dialect was very different and when I talked with the teacher afterwards, she said that it actually took her almost a month to understand him! It was a wake-up call for me to realize that I may have students in my classroom that I can’t communicate easily with. What a challenge! The next activity the students did was write a paragraph based on a picture. The picture the teacher showed was of two piglets playing with a soccer ball. This was a narrative assignment [creative—hooray!] and the students thought it was silly and fun. What I noticed about this assignment was how hard it would be to translate Spanish to English. Me and a fellow classmate tried to do the activity in the reverse—English to Spanish—and we really struggled! It gave me insight into how hard it would be to come into America, not knowing any English, and have to start from scratch with classroom activities. This was also a cool experience because the students got to laugh at me and my classmate and see, right in front of them, how we struggled in comparison to how they struggled—a connection between us! The final activity was a read aloud where students opened to a short story and looked at the picture to guess what the story was about. The cool thing is that they had to speak in English…so think of their ideas, translate, and then speak. Hearing the students read the different character parts [each student was giving a specific character and then read that character’s dialogue, like a play] was very fun. I loved hearing the way they spoke and because I could read along with them, I could understand better what they were saying. My ESL experience was very rich. I really got a sense of how difficult it would be to not only be a student, but also a teacher. How, if you don’t speak the language, can you communicate with students? I talked to the teacher afterwards and she said that she uses the internet, cell phones, and pictures a lot. A student would say something she didn’t understand and she would say, ‘let’s look it up’. Then she would use the English word so that she and the student could communicate about the same thing, both in English. Wow! How challenging, but rewarding! The progress I observed in this classroom was truly amazing and really made me appreciate my English degree and background. I’m not sure if I’ll ever move into ESL, but I do think that I have the teaching background and skills to potentially be successful in this area.